SOLD! 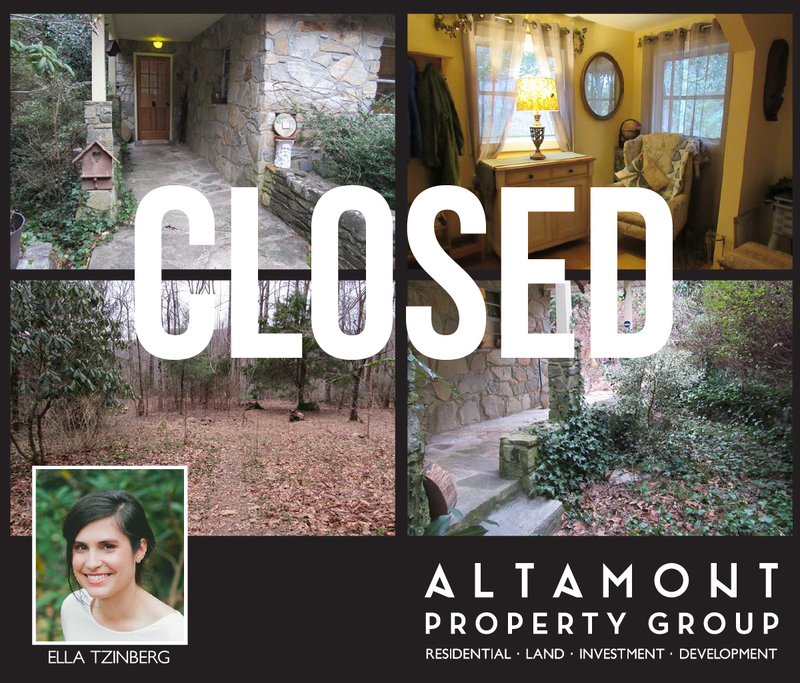 Ella Tzinberg of Altamont Property Group with Keller Williams Realty in Asheville enjoyed working with the real estate buyers to purchase this private stone cottage in Black Mountain. The buyers are looking forward to watching their family grow in this beautiful natural setting. Congratulations, Ashley and John on your new home! Closed for $125,000.